Joakim Noah's rocky tenure with the Knicks came to a close on Saturday, as the team announced that they waived the former Bulls All-Star center. Noah, 33, signed a four-year, $72 million contract with the Knicks in July 2016. He played in just 53 total games with the Knicks, averaging 4.6 points and 7.9 rebounds in 19.9 minutes. According to ESPN's Adrian Wojnarowski, the Knicks will use the waive and stretch provision with Noah, taking on a $6.4 million salary cap hit for three seasons starting in 2019-20. 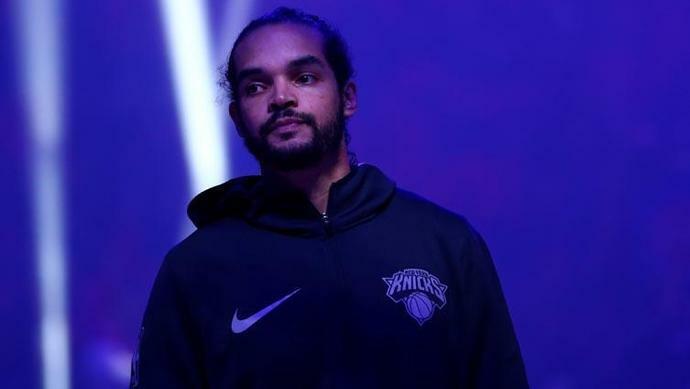 Noah has been away from the Knicks since January following an alteraction in practice with former Knicks coach Jeff Hornacek. The 2013-14 Defensive Player of the Year also missed time last season following a 20-game suspension for violating the NBA's anti-drug policy. Now that he is a free agent, could Noah join former Bulls teammates Derrick Rose, Taj Gibson, Luol Deng and Jimmy Butler (for now) with the Timberwolves? Don't count on it. Ah, some things are just too good to be true. Still, would we REALLY be surprised if Noah joins the Timberwolves in the near future?